On Saturday 21 April 2018, as part of the monthly recreational tournaments (pool, foosball, Fifa, darts, chess, football, hockey, etc.) 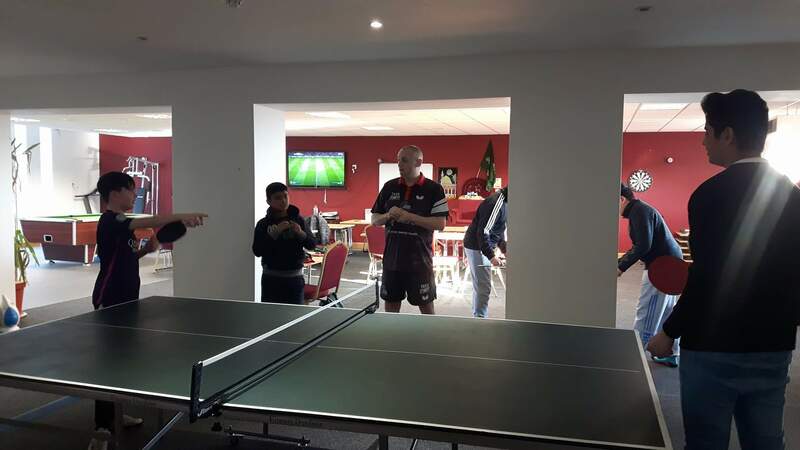 organised by Dunfermline Central Mosque to reach out to the youth of the Dunfermline community, we held a table-tennis tournament. The mosque reached out to Steve Hastings, a well-known professional UK table-tennis coach, to officiate the tournament and inspire the children to take up the sport, leading to talks between the mosque and the coach about developing a table-tennis centre in the area at the mosque for both Muslims and non-Muslims to join and become professionals in the sport.